There are regrettably instances where the standard of professional service provided by advisers to their clients falls short. This can occur, for example; where a professional represents themselves as having more experience or skills then they actually possess, or where they have incompetent in the work they have carried out for you. MKB Law’s Professional Negligence solicitors have vast experience in all matters relating to professional negligence claims. 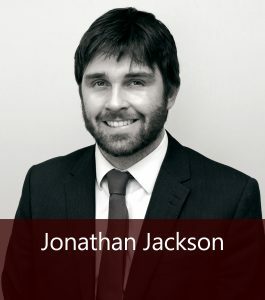 Our team is headed by Associate Director Jonathan Jackson who has successfully represented many clients in professional negligence actions. An architect may be found to have been negligent if they have failed in their role, particularly if the result has been that the customer has suffered substantial financial loss. In many cases, these failings will result in significant delays or a drastic increase in costs on building projects. The Professional Negligence Solicitors at MKB Law have many years of experience acting on behalf of clients to recover sums lost as a result of architect negligence, in many cases reaching settlements without the need for court action. What is quantity surveyor negligence? Those seeking to buy a house, and particularly those purchases being made with the assistance of a mortgage provider, will almost certainly have a survey carried out to establish that the property is structurally sound and to bring to the buyer’s attention any potential problems that could arise in the future. In some cases these surveys will not be carried out correctly meaning that serious faults such as damp or dry rot are not identified as they should be. These mistakes will likely have a substantial financial impact on the buyer, resulting in significant repair costs or loss of value for the property. Our Professional Negligence Lawyers are on hand to offer expert legal advice if you have been the victim of such negligence, helping you to recover any losses as quickly and easily as possible. Often the result of such negligence is that financial loss is suffered or a case in which you are a party is decided against you. A claim for negligence against a solicitor will generally have to be made within six years, however this may be extended if the negligence only comes to light at a later date. If you are unhappy with the service or advice given to you by a professional you should consult with your solicitor at MKB Law to determine if you have grounds to make a case. Time is an essential factor in professional negligence cases and so it is vital that you get in contact with us as soon as possible in order to ensure that your case is heard. It is also important to gather as much information together as possible by recording any details, transactions or dealings that you have had with the service provider, eg: receipts, letters, emails, text messages and any other documentation you feel may be relevant. We make the discussion of funding options a priority early on in these cases to ensure our clients are fully prepared. Options such as the availability of after the event insurance (“ATE”), which protects the client against substantial costs they may be liable for should the legal action prove unsuccessful, can be worth looking into. For cases with a value in excess of £30,000 and which, therefore, fall within the jurisdiction of the Commercial Court, there is a recent pre-action protocol (setting out the steps parties to prospective litigation are obliged to follow before the issue of Court proceedings) with which this firm is well-versed. Whatever the nature of your professional negligence claim, our lawyers will do their utmost to achieve the best possible result for you and will keep you fully informed throughout proceedings.